I have chosen to use my blog to talk about the artistic medium I am very passionate about and have now been practicing since 2006. This entails performance, live or, in some ways, life art. I mention on my website that art is naturally collaborative and in all my work, be it writing, talks or performances I normally have someone or many people supporting my process. This, to me, is the essence of collaboration. I will therefore acknowledge anyone that helps me develop each one of my articles going forward. I hope you enjoy and find what I discuss now and in the future thought-provoking. In written collaboration with Anastasia Niedinger. As an artist both within and exploring the field of performance art, a number of discernible patterns have become apparent to me. As I see it, the rise of performance art within popular culture – particularly in the last year – has been symptomatic of the general public’s disillusionment with conventional artistic mediums. I believe this has been brought on by the rapid and all-pervasive development of technology in the last decade – specifically social media – and the new interdisciplinary relationships this has forged between concepts of human interaction, access to information and consumption of media. Establishments, organisations and museums are well aware of the dramatic shift undergone by art in recent decades. Most clearly, this has been demonstrated by the Tate, whose team have developed The Tate Modern Project – a space dedicated to film, video, photography and performance. In its vision statement, it claims ‘Film, video, photography and performance have become more essential strands of artistic practice, and artists have embraced new technologies. Ambitious and imaginative installations are now pushing traditional gallery spaces to their limits’, advocating the modernisation of artistic execution. A great illustration of this innovation is the work of performance artist Marina Abramović, whose rise and influence on contemporary culture over the last three years has been nothing less than dramatic. Seldom in recent memory has a performance artist exerted such notable influence on popular society. From March to May 2010, Abramović’s performance of The Artist Is Present in New York’s Museum of Modern Art (MoMA), offered visitors the opportunity to sit for indefinite periods of time facing her, and engage in periods of unbroken eye-contact. This highly sought-after performance underpinned the subsequent release of a 2012 documentary film, Marina Abramovic: The Artist Is Present tracing the sensational impact of the installation. This piece would mark the start of the artist’s rippling effect among a widely diversified and global audience. She has since exercised a marketing whirlwind by capitalising on her fame by broadcasting several surprising collaborations. Firstly, one must consider the medium in question: ‘performance art’. For many, this art form is considered difficult to classify, and, unlike painting or sculpture, the practice is seldom recognised as a tangible or lucrative commodity. Unlike the majority of more conventional art forms, whereby practitioners’ work can be sold for an agreed sum, human embodiments of performance cannot be collected or stored. One might then ask, if captured artefacts – such as limited edition photographs of a performance – manage to arouse any high stake punts on value at all? Probably not. For any rightful gallery owner, art buyer or straight-laced connoisseur, even a love of the performing arts has traditionally failed to yield long-term investment, and up until this year, performance art has remained obscure, typified by independently funded ventures. Against these odds, on July 10 2013 performance art was granted a wider, commercial audience. Here, we saw Abramović join Jay-Z in a six-hour performance of his ‘Picasso Baby’ single at a New York gallery (open to public and fans). Arguably, Jay-Z’s encounter with Abramović was meticulously orchestrated. This footage went viral on Vine and various other social media platforms, and later even re-mastered as the self-titled ‘A Performance Art Film’. In higher measure, Lady Gaga recently displayed her naked body as part of a promotional video alongside Abramović. The video was used by Abramović as a means to boost her Marina Abramović Institute Kickstarter campaign. Not surprisingly, the project hit its target of $600,000, three days ahead of schedule. It is wise to observe these events in terms of popular culture and its mass sway over public consciousness. Jay-Z, considered by many as a rap superstar (not to mention, the weight of his celebrity marriage to Beyoncé), demonstrates both influence and clout among the media, music, and associated industries. Likewise, Lady Gaga now openly fames herself as one of the most iconic pop artists in recent history. The first, is that social media, as a hyper-interactive virtual forum, is in fact driving many of its users apart. Subsequently, consumers can become heavily alienated from a natural or human basis for interaction. More interestingly, users exposed to a high concentration of internet based stimulus may also find themselves desensitised from to a range of emotive responses. The result: in spite of our ‘highly interactive’ lives – supported by digital means – an inherently primal need for humanistic interaction quietly grows. I believe the growing attraction to more visceral experiences, and correspondingly, to performance stems from here. Public audiences now desire personal connections, both among themselves and with their creative icons. Interactive involvement has grown key to maintaining collective interest in art. When Abramović sat in the MoMA for three months to meet each attendee’s gaze and enable an ‘authentic’ personal connection – it marked a cultural trend. Ironically, one of the most effective tools for distributing performance art has become the web itself. A viewer’s desire to bridge the gap between themselves and their admired artist by means other than attending a performance itself, is something I like to call the ‘quick fix’ factor. After more than a decade of digital consumption, we as a generation now seek out immediate gratification from interpersonal performance that can be streamed live to our desktops. If a chosen artist does not satisfy this desire, we are quick to move to another that will. 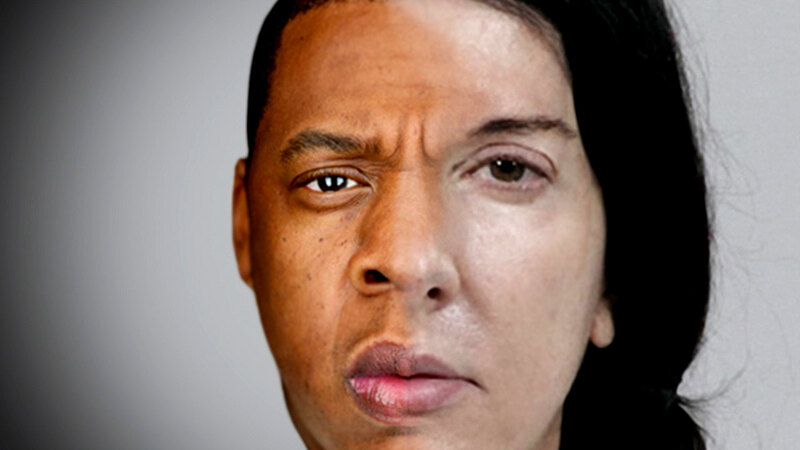 Abramović’s broadcasted collaborations with pop stars Jay-Z and Lady Gaga, demonstrate explicitly the formation of an impatient, and ‘quick fix’ viewer generation. Gone are the days of curating performance art to sensitively illustrate the substance, nuance and complexity of this form. Borrowing from performance art, modern marketing campaigns are also employing the power of human intimacy, by synthesising interaction via live stream technology. Likewise, celebrities are recognising their audiences’ desire for a personal connection, demonstrating this in recent rhetoric and performance, mediated by a bank of digital press and media outlets. The big players – Gaga, Madonna and others including Tilda Swinton – have grown “streetwise” (recall David Bowie in his prime) to the incumbent Zeitgeist. So “What is “The ‘Abramovic Effect’?” you might ask. It is a paradox within itself. On the one hand, it is the emerging desire to experience personal or sensual moments through performance art. On the other, it is the anonymous, digital medium broadcasting the phenomenon. Not surprisingly, performance art can now be harnessed by media campaigns designed to increase one’s fame. These events have the potential to reinforce impersonal, viral trends. As an artist, the duality of this phenomenon has been an interesting one, both to be admired and questioned. What does this mean for performance art? Despite the potentially negative aspects of the commercialising of performance art, it draws an interesting, and more realistically, positive trajectory for this medium in the future as a whole. Given the growth in popularity of ventures such as The Tate Modern Project and PunchDrunk’s The Drowned Man we begin to see a clear signifier of what society wants, needs and, it seems, where it is actually going. Performance Art and its various strands (live and life art) as well as digital art are the signs of things to come. For those artists – myself included – there is no better time than now to make a unique and large-scale impact with the medium we are working.